May 6, 2011 (New York, NY) Written by Robert Sutton. Acoustic guitars that flow like liquid. Crystalline, tinkling piano. Swirling harmonica. A haunting voice. Those are the enigmatic sounds that open Dumee & Dijkgraaf Quinteto's new album, Heloisando. Rooted in Brazilian jazz and classical influences, Dumee & Dijkgraaf Quinteto eschews genre conventions for an original and highly compelling style. Featuring guitarist Jan Dumee, harmonicist Wim Dijkgraaf, pianist Kiko Continentino, bassist Paulo Russo, and drummer Marcio Bahia, Dumee & Dijkgraaf Quinteto create music that is the result of an international exchange of flavors and inspirations based on the members' backgrounds in Europe, Minas Gerais, and Rio de Janeiro. They add up to an exotic and particularly invigorating collective, offering a consistently inventive and dazzlingly energetic performance. On "Entre Rio e Belo Horizonte," Dijkgraaf's harmonica is especially commanding, almost breathless in its relentless energy as Continentino's rollicking piano, Dumee's jamming guitars, and Bahia's frenzied drumming build up a wall of steam. It's exhilarating to see tightly-knit musicians lock on such an infectious groove. 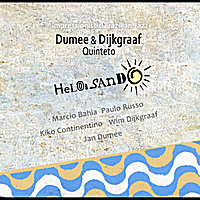 Dumee & Dijkgraaf Quinteto is a true band, one whose individual components result in a powerhouse unit with no weaknesses. Nevertheless, there are solo moments that shine as well. On "Sonhando De Amor," Continentino's lovely piano conjures an atmosphere of glorious tranquility. 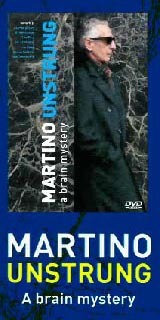 It's almost as if Continentino - and the group itself, actually - is trying to capture the therapeutic calmness of nature. Dumee's spiraling riffs on "Cipriano" is equally spellbinding. (To hear audio samples of Heloisando, visit http://www.cdbaby.com/cd/ddq).